My sister and I left London in October 1963, sailing on the NZ Shipping Company's "Remuera", to Wellington, New Zealand, then on to Christchurch. 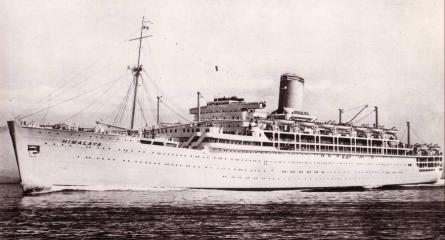 She was originally a Cunar liner, "Parthia", sold to the NZSC and refitted to start service to New Zealand from the UK in 1962. The Remuera, had 350 and 200 crew. My sister was 19 and I was 21 and boy we had a wonderful four weeks at sea. Our ports of call were Curacao, Panama and Papeete. We mixed with passengers and officers (at official functions only). Travelling through the Panama Canal was a great experience. All meals were provided on deck that day so that we could see everything possible. In comparison to the bigger liners, the Remuera was pretty small but we enjoyed every minute of the journey and only starting feeling homesick when we docked in Wellington. Those were the days when the New Zealand government paid for emigrants from the UK to take up work in NZ, so all in all it was a very cheap holiday for us. 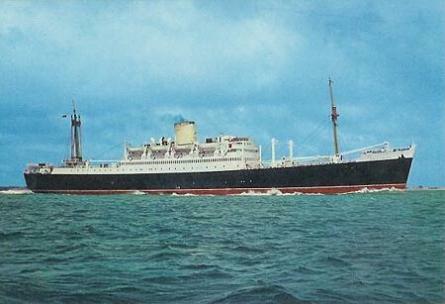 The Remuera was sold the following year to a P&O subsidiary, Eastern & Australian Steamship Company and I believe she was scrapped a few years later. I have a photo of the ship but don't know how to attach the photo to the message! Well, it's taken six months but I have just found out how to attach an image. The "Remuera" in all her glory! hi Ballindalloch, we visited Christchurch in 1991 and had a great time. We had a couple of days in Hanmer Springs and bathed in the sulphur. Also visited Rotorua and an other place that had a distinctive French flavour, street names, etc all sounded French. Had a trip on the Canterbury Cat. We were astonished at the way you bought liquor, we went to a liquor store called the "Rabbie Burns" where you took back your empty bottle and filled it from the appropriate barrel - whisky, rum, etc. It seems the customers used to have a sample before filling their bottle, so the staff took over that duty. You might even know the relatives we visited and stayed with out there, their name is MacArthur, originally from the south side of Glasgow. We found the place to be very laid back when compared to Australia. Nice memories. I was pleased that you enjoyed your visit to Christchurch in 1991. Isn't it about time you visited again? Hanmer Springs is a great place to unwind, as you discovered. I usually have a couple of weekends a year there with friends. The pools have been enlarged and improved several times and it is a vast place now. There are many smaller rock pools as well as the big ones, also excellent facilities for children, as well as the freshwater pool. The French settlement you talked about would be Akaroa, on Banks Peninsula. It is about one and a half hours from Christchurch, over the hills. Akaroa has changed a bit over the years but still retains its French identity. It's a popular place for harbour cruises, seeing and swimming with dolphins, etc. I had a laugh when you said about people testing the spirits before filling their bottles at Rabbie Burns bottle store. I don't think it is there now - not surprising really! Rotorua is a very interesting place but the strong sulphur smell is a bit overpowering at times. My best friend lived there until two years ago and I spent many holidays in Rotorua. The scenery around the area is magnificent but you would need a couple of weeks to look around it all. Thanks for your message. Best wishes. I left Glasgow in 1973 never really thought about sailing , after reading your posts I wish I had. I came air canada,landed here in Toronto during a heatwave It was nothing like I had expected, but it was just a big adventure to me. I never really intended to stay.Here I am all these years later still here and still loving it. My Husband & 2 kids left Glasgow on my birthday in 1990(bad day to leave home) We had to take the only glasgow to london flight available that day which got us into London with a 10 hr span to wait on the next flight (I nearly changed my mind & phoned my mammy a few times in distress) So on the way to the airport I was crying a river as the sound of our dog tore my heart apart ( we left our dog with mum as she wouldnt have coped with the 6mths quarentine with strangers,she was an old girl) The arrival to Glasgow airport was an even bigger shock for me as it induced enough tears from me to fill an ocean. Neil,myself & kids stayed untill last as several family & freinds came back & forth transporting family& friends to airport 1st. so they could send us off as a troop. That day as We approached the line up of folk we knew, I saw my parents as elderly for the 1st time in my life (they appeared frail to me & so much older than I realised,That was shocking to me. The lines of family& friends were thrusting Birthday cards into my hands as well as fairwell & bon voiage cards. All I saw were lips moving Not truly hearing words & of course many of us women were besides ourselves with emotions. Neil & the 2 kids took vomiting & dihorea in london & between making calls home & fighting with maself we managed the 10hr wait. 26hrs after that we were without sleep & knackered for want of a better expression haha we flopped off the plane in Brisbane Australia & it was raining haha but the steamy atmosphere was choking. we stayed a murderous 6wks with Neils unknown brother & horrible wife ( we were still gratefull they put us up even to this day However the sisterinlaw & me clashed beyond words) Many further attempts were made by Neil& me to relate to this woman ,unfortunately we never could reach her better side & gave up 10yrs ago. We were privalaged for the roof they provided for us none the less. We rented our 1st home 6wks in & then the homesickness would begin to haunt my days & nights for many years. Now we are becoming citezens & feel no regrets as this place offered us exactly what we were looking for & we never disown our roots & thoroughly enjoy our combined countries & what they gave & are still giving us today. we are living happily ever after. We only came to London, initially for a couple of years but we're still here 35 years later.....I would have went back home to Glasgow to stay anytime in the first 5 years because I missed my mammy so much. It was when we bought our first house and the kids were settled in school that it hit me that I was here to stay and not going home to Glasgow. We are grandparents ourselves now and we still love Glasgow and come back as often as we can to rekindle our lovely memories of growing up there. We have worked hard all our life to have a good standard of living down south and can now enjoy little luxuries like jumping on a plane and staying the weekend in an hotel whenever we need a 'Glasgow fix! '.........We're really lucky that we're only 400 miles away!!! The wife and I sailed on the Himalaya 1970 from Southampton..Great food and great time....It was a two class ship..One paying passenger got of at Capetown..Wouldn't mix with the steerage Ha'Ha'..We didn't want his very British personage either..Halfwit...'Adelaide' our destination was luvly..But alas had tae leave and go tae Sydney as the Mosquito's were like dive bombers and I was allergic tae them..None in Sydney that size either..So settled in nicely...Moved tae Queensland when redundant..Nae dive bombers here either.jist sand flies. (Midgies)..awlavwa and G'day tae ye all. Jock we live in Brisbane in Queensland & Mozzies are very much a part of life here soooo many water bodys around too. I can symapathise with you as my husband is dreadfully afflicted each summer mostly,with mozzie bites that he is very much alergic to. These bites result in infection & naturaly in his sleep he scratches them & they bleed & weep etc the poor man had to see specialists regarding them the only alergy specialist we had here in Brisbane has passed away for some years now,when Neil did attend he was tested as positive & severe when they let the mozzies attack him. My husband had a series of 10 injections over a year,which did help a little,however when this man died his treatment died 10 yrs ago so even though he uses sprays potions & lotions,still yet with antihistamaines he gets devoured & infected each year,it`s sad realy.The darndable Mozzies have much to answer too don`t they Jock? Well I know after what happened to me so Iam glad you no longer get affected but sorry I must disagree when I see my husbands state & what happened to me as NSW was just at the line of the border to QLD. I was tragically infected whilst at NSW place called Fingal,where I recieved around 10 times the dose above average of a form of Malaria called RossRiverVirus,which devastated my life reduced my immune system to nil & in it`s onslaught left me almost for dead & 4 types of Arthrituses were ignited into my body at the age of 36. I couldn`t walk for a year thereafter learned to walk & still see a rheumatologist & get Chemotherapy for the massive doses of Osteo/Rheumatoid/psoriatic & a general arthritis that comes naturaly along with this form of Malaria. I count myself as lucky to be alive & thankfully Iam not yet in the wheelchair they predicted.I still get fevers unexpectedly,the stiffness etc deteriations to by bones have been massive as 98% of my body is damaged,I have been in & out of remmissions 3 times in 8yrs Iam only 44 coming up this April too,so do forgive me disagreeing with you I can only agree to disagree as Iam,we are living proof mate & we have lived here for16 yrs 17 come April 18th.cheers Jock Iam glad it`s safe where you are. Must be a red head thing right enough Jock cos my Husband is a red head hahaha Iam Laughing at your sunburn incident & was reminded of the only time in all my life thus far wherein I was hospitalised for heat stroke & chronic sunburn . Itwas when I was 17 & spending a 2 week break in Arbroath with my mum ,no joke my entire body accepting the costume areas were covered in massive spraweled oot water blisters from too much sun exposure,never felt so sore & embarrassed all at once. cos I had to be painted with a paint brush dipped into calamine lotion which I then called pal o mines lotion for sure my 2nd week was a big riddy through white paintit body for the duration of that holiday I named the Ghost trip haha. Did you work at a trebor factory here or in Glasgow or uk somewhere else in uk?. There was an auld trebor sweetie factory we weans used to pilfer oota when young at auchanairn area of Glasgow Anyhoo take care pal oor 20 yrs wull be up in 3 yrs then eh according to your predictions haha . Having said all of the above,I have only ever been bothered this once by Mozzies so in my case once was too much cos hadn`t had any troubles prior or after with mozzies other than the onslaught & aftermath left over. Och Arbroath..Now you are really puttin the boot in..Ah memories. grey's a bit..He will have been broken in.And not to scratch the lump..Only around it..Cos he will get Staff disease.Where was Trebor in Auchinairn?..My wife Margaret got her Hair done in Broompton road.in 1987.God..She had inheritied the best hed of hair..As soon as My Sister in Law seen it in Kirky, she said.Ah waant what she's goat..They awe said it.Hope their no reading this post. Noo that ma red hair has jist aboot vanished Am jealus.Anyway that's another story. Where are you in Brizzy..Very Bizzy..Ha'Ha'.Bribie was luverly. Awe you folk from Brizzy used tae come there for a weekend.. It was my private ozzie land..I used tae look at the Palms in Sprinburn park Glasshouse..Now I have my own Foxtail Palms. We take a long road in life.Some of us cut down in our prime. grey's a bit..He will have been broken in.And not to scratch the lump..Only around it..Cos he will get Staff disease.Where was Trebor in Auchinairn?..My wife Margaret got her Hair done in Broompton road.in 1987.God..She had inheritied the best hed of hair..As soon as My Sister in Law seen it in Kirky, she said.Ah waant what she's goat..They awe said it.Hope their no reading this post.  :wub: Noo that ma red hair has jist aboot vanished Am jealus.Anyway that's another story. grey's a bit..He will have been broken in.And not to scratch the lump..Only around it..Cos he will get Staff disease.Where was Trebor in Auchinairn?..My wife Margaret got her Hair done in Broompton road.in 1987.God..She had inheritied the best hed of hair..As soon as My Sister in Law seen it in Kirky, she said.Ah waant what she's goat..They awe said it.Hope their no reading this post. : Noo that ma red hair has jist aboot vanished Am jealus.Anyway that's another story. I put yir post in twice as ye can see..Cos ye suffered at the beek of horrible wee beasties called Mozzies..Ye must have been heartbroken leaving yir wee dug.When ye flew tae Brisbane.Awe the pain of it all.We had in law's staying with us for a year in Sydney.But she had no intention of staying in OZ.Some people jist fester.And Make it VERY difficult for the host family.Never again..We avoid moaners like the plague..But thats another story.Some folk get it on a plate and still no happy..Frig oaf I say.